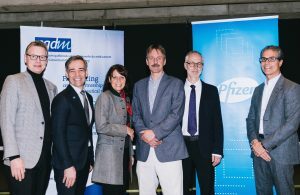 Montreal, November 19, 2018 – We are pleased to announce that Pfizer Canada, a founding member of CQDM, renews its confidence in CQDM with a contribution of $550,000. This significant engagement will help fund the development of several highly competitive and innovative technologies in biopharmaceutical research in Quebec with the ultimate goal of developing better and safer drugs. It will also provide a financial support for Quebec investigators to join Canadian and international networks and it will foster successful public-private partnerships. 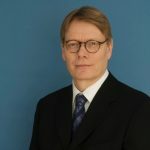 The Pfizer contribution has already allowed CQDM to select and support the development of a drug-screening platform for protein expression levels led by Professor Brian Chen, a scientist from the Brain Repair and Integrative Neuroscience (BRaIN) Program at the Research Institute of the McGill University Health Centre (RI-MUHC) in Montreal. Professor Chen’s highly competitive technology will offer new avenues for the treatment of patients with diseases caused by low gene expression such as autism, depression and neurodegeneration. This support from Pfizer, together with contributions from the Ministry of Economy and Innovation of the Government of Quebec (MEI), the Brain Canada Foundation and the Healthy Brains for Healthy Lives initiative supported by Canada First Research Excellence Fund, will bring a total of $1.45M to develop this technology. 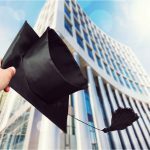 “The Québec government strongly encourages the development of new technology to strengthen the province’s biopharmaceutical innovation ecosystem and maintain Québec’s position as a world leader. Pfizer’s CQDM initiative, which helps foster the discovery of new treatment avenues, is a good example of a present-day partnership established to ensure prosperity tomorrow.” Pierre Fitzgibbon, Minister of Economy and Innovation and Minister Responsible for the Lanaudière Region. “Thanks to Pfizer Canada’s continuous support over the last 10 years, CQDM has been able to fill an important gap in the innovation chain. 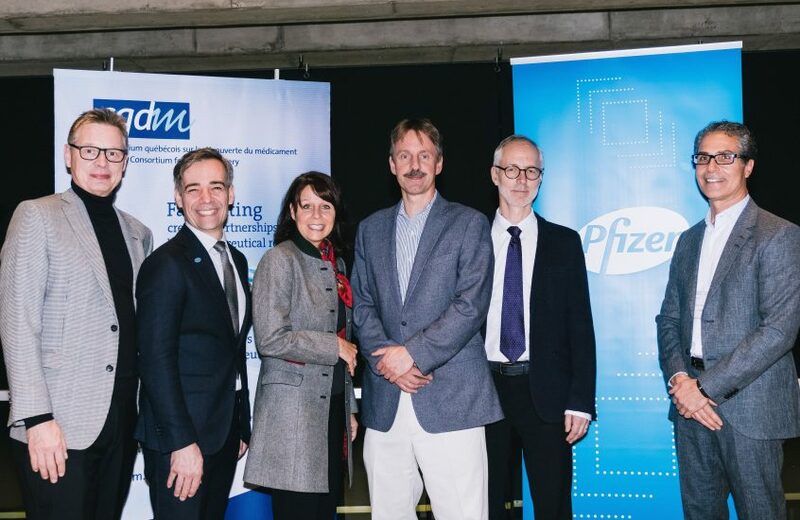 This new contribution from Pfizer will allow CQDM to further support the growth of our ecosystem and sustain the Government of Quebec’s vision to develop a world-class hub in life sciences.” said Diane Gosselin, President and CEO of CQDM. Brain Canada is a national registered charity headquartered in Montreal, that enables and supports excellent, innovative, paradigm-changing brain research in Canada. Founded in 1998, Brain Canada is celebrating its 20th anniversary this year. Since its inception, Brain Canada has made the case for the brain as a single, complex system with commonalities across the range of neurological disorders, mental illnesses and addictions, brain and spinal cord injuries. 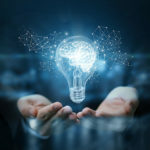 Looking at the brain as one system has underscored the need for increased collaboration across disciplines and institutions, and a smarter way to invest in brain research that is focused on outcomes that will benefit patients and families. Brain Canada’s vision is to understand the brain, in health and illness, to improve lives and achieve societal impact. The Canada Brain Research Fund is a public-private partnership between the Government of Canada and Brain Canada, designed to encourage Canadians to increase their support of brain research, and maximize the impact and efficiency of those investments. Brain Canada has committed $115 million from private donors and non-federal partners—now numbering more than 100—which Health Canada has matched with $120 million. For more information, visit www.braincanada.ca.